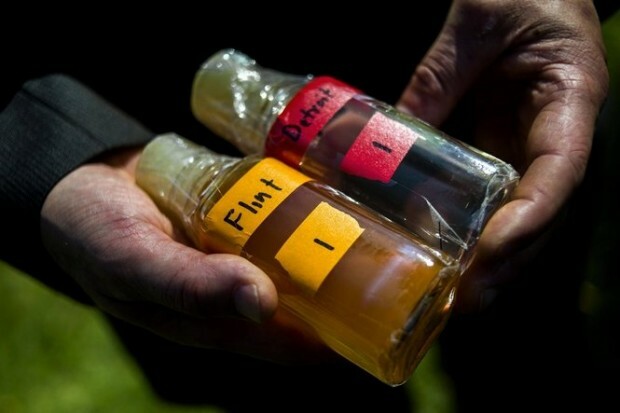 Although the crisis in Flint just became public this month, it actually began in April of 2014 when a state employee switched Flint’s water supply from Detroit water to Flint River water in an effort to save money. After the switch, residents noticed that the new water looked, smelled and tasted funny and started experiencing rashes, hair loss and other ailments. Unfortunately, state officials ignored federal law by not treating the highly corrosive Flint River water with an anti-corrosive agent, which caused lead from the city’s old pipes to leach into the water supply. Lead is a powerful neurotoxin and lead poisoning can cause lifelong health effects and put developing children at risk for permanent brain damage, behavioral problems and learning disabilities. In addition, health officials reported an increase of Legionnaires’ disease (a severe form of pneumonia caused by bacteria found in stagnant water) cases in Flint over the last two years. In October, the city reverted back to using Detroit’s Lake Huron water supply, but the damage was already done. Even with properly treated water flowing in, researchers still detected lead levels in water in Flint homes. The President has declared a state of emergency and volunteers are now handing out filters, bottled water and testing kits to the 100,000 Flint residents affected by this crisis. To help alleviate Flint’s water crisis, you can donate to the following organizations: Flint Water Fund, Flint Water Study and Flint Child Health and Development Fund. As a dentist, you are not only an important part of the community, but you also have a significant impact on the environment. Just as the Flint water crisis could’ve been prevented with a couple of extra precautions, dentists can also significantly reduce the amount of toxic dental amalgam found in our water supply simply by making a few changes to their waste management procedures. Below are ways that dentists can protect fellow humans and the environment from the adverse effects of 2 hazardous materials: mercury and lead. It is estimated that about 50% of the mercury that enters our wastewaters originates from dental amalgam. Mercury is a bio-accumulative pollutant that builds up in fish and shellfish, which is dangerous to the health of the human nervous system when ingested. To prevent mercury from making its way into the environment, dentists can install an amalgam separator, which are a low-cost and low-maintenance solution to eliminate 99% of the solid mercury waste that bypasses chairside traps. PureWay carries a leading amalgam separator the ECO II by Metasys. Lead wastes, found in lead foil, aprons and bite wings, are highly toxic and can contaminate soil and water if not disposed of properly. To prevent staff and patients from lead exposure, dentists should collect anything that contains lead in UN/DOT approved storage containers for proper recycling. PureWay carries a variety of lead waste recycling systems.